Sore throats can be caused by bacteria or viruses. Viral sore throats usually are accompanied by other cold symptoms such as runny nose, congestion and cough. Sometimes you may even have mild body aches and fevers. 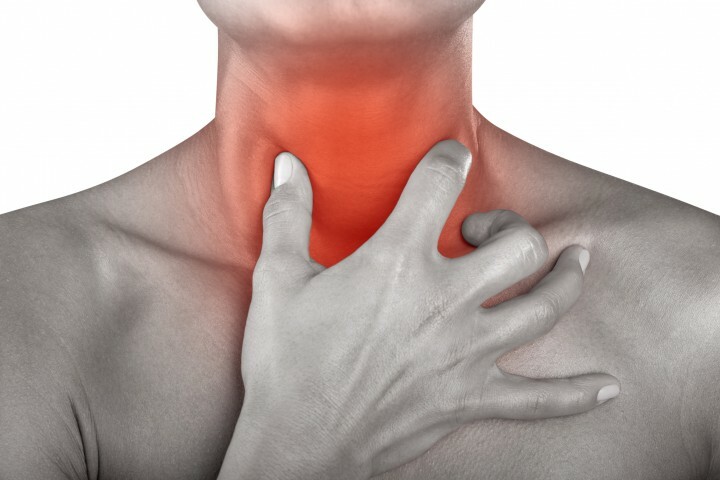 Other causes of sore throat can be allergies, open mouth breathing due to congested nose, pollution, and dry air. Nasal decongestant sprays may help reduce post-nasal drip (that yucky stuff that runs down your throat). Make sure you do not use these more than 3 days. Using them more may cause rebound congestion. Antibiotics should not be used to treat a cold virus and sore throat. Strep throat is caused by streptococcus bacteria. It spreads by having contact with an infected person’s nasal secretions or saliva. The symptoms of strep throat are usually more severe than a sore throat caused by virus. This is treated by antibiotics and most will feel better after 10 days of treatment. The Centers for Disease Control and Prevention lists some of the classic symptoms of strep throat as: sore throat, difficulty swallowing, swollen tonsils, fever, headache, nausea, rash and sometimes vomiting. If you are unsure if you have a viral infection or strep throat, come see us at Rio Grande Urgent Care. There are certain tests we can do to diagnose strep throat.